I made this recipe tonight and it was amazing!! My husband licked his plate clean! 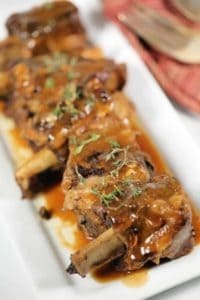 Better than most restaurant short ribs!! Delicious!!! I am so glad to hear that you loved it!!! It’s definitely a keeper at our house! Thanks for the feedback! I made this dish yesterday and it is delicious ! 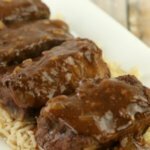 I am not a big fan of crockpot recipes and I am very happy to say this one Is A Keeper !!! Thank You Christina for getting back to me 🙂 I am looking forward to this recipe..it smells delicious. I am glad I went to the store to get the tomato paste I am sure it will make a difference…. 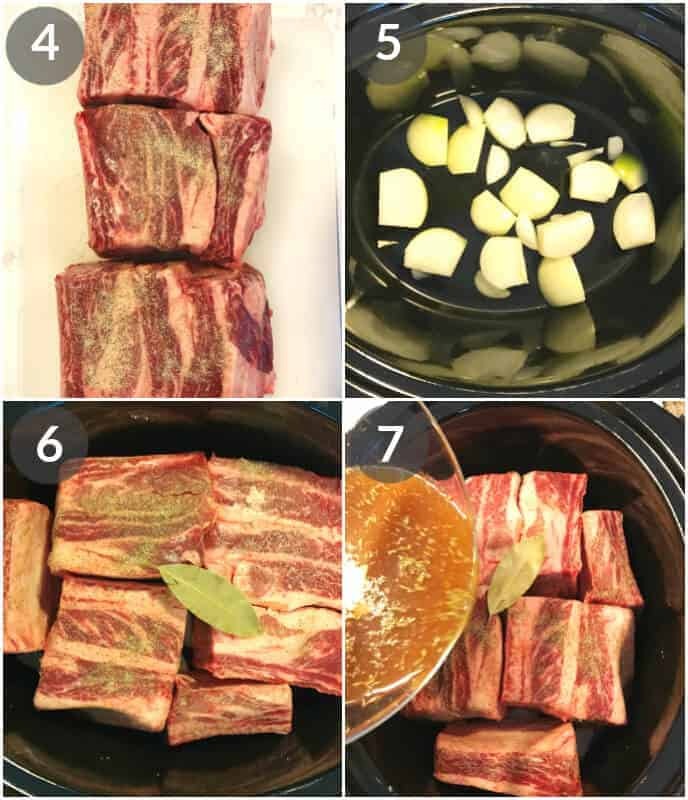 I am making the shortribs in the crockpot now…I forgot to buy the tomato paste…is there something I can use instead or should I just go buy it ?? I will be making this for New Years Eve dinner tomorrow, with mashed potatoes and heirloom carrots. I am planning on substituting Beef broth for Beef Boillion (2 cups I think? ), do you think this will work out OK? Any other suggestions on doing this? I think 2 cups might be too much. I would use 1/2 cup of broth and eliminate the water from the recipe. Let me know how you make out! 🙂 Enjoy! 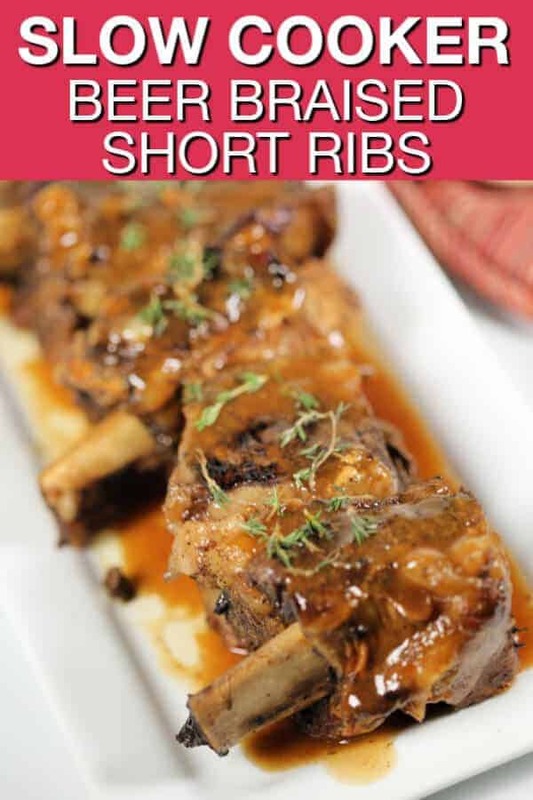 All I can say…the short ribs were absolutely fantastic! I pulled out the crock pot to make some comfort food during today’s snow storm. 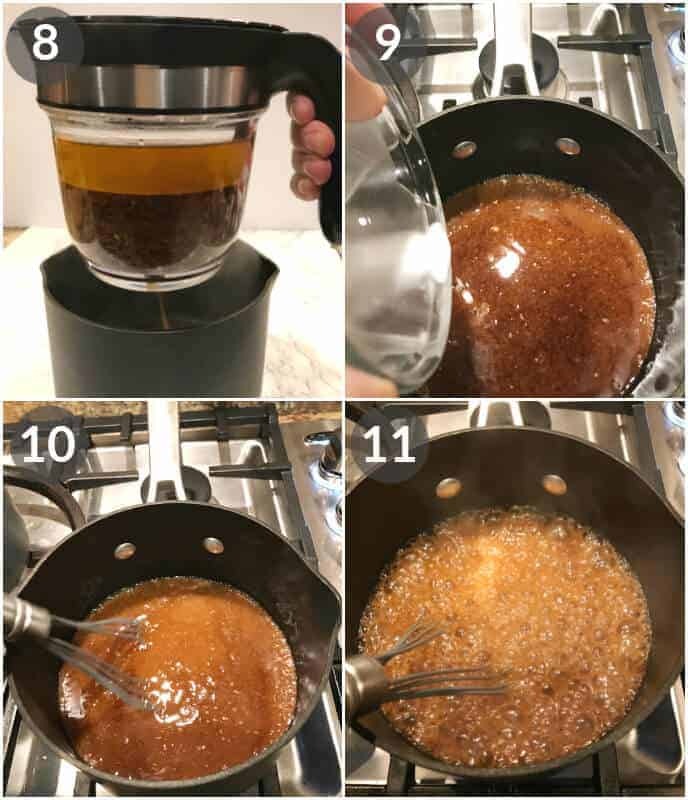 Glad I found this site and recipe. 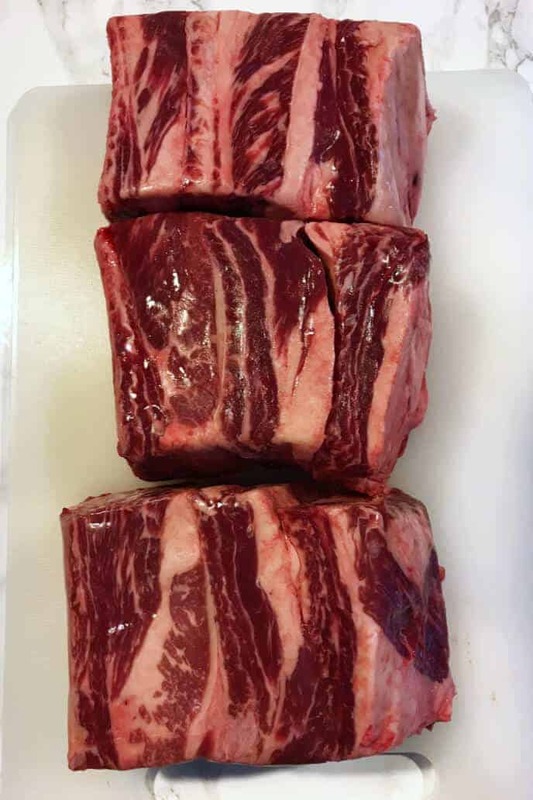 I never made short ribs before, but I will make them again…and soon! how do you think it would be to use guinness instead of a light beer? Made this for dinner tonight. Can I say AMAZING. My whole family enjoyed it and that is not easy to do. It was so fast to get ready in the morning and very litte prep when I got home from work. I added carrots and mushrooms which made a great addition. So glad you liked it!!!! 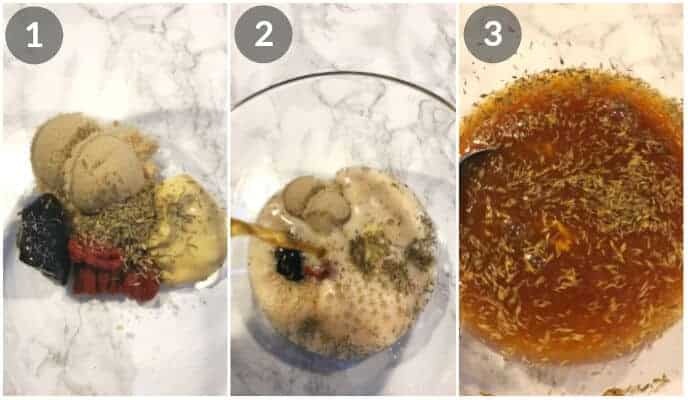 It’s really an AWESOME recipe — my family loves it too!!! 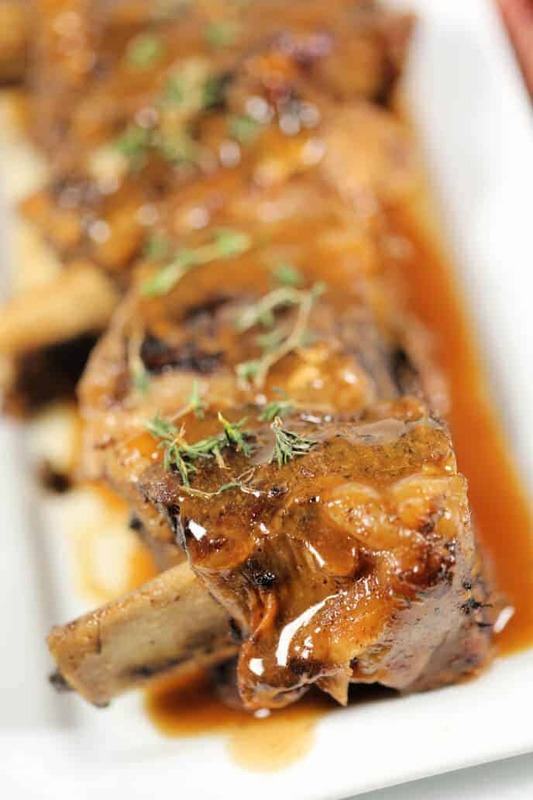 I adore short ribs. Its probably in my top 10 of foods. Yours look and sound great. 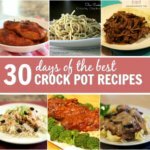 I love crockpot recipes. oh my word. i can smell this thru my screen. heaven. We love short ribs at our house. 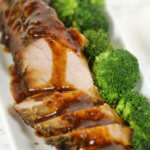 I usually use Emiril’s recipe which uses a little red wine vinegar. Like the beer, it gives it a little extra flavor but nothing overpowering. This looks yummy, I’ll have to try it next time. Mmm – I love ribs! I don’t brown mine first either but I have never tried to cook them in the slow cooker! Gotta try it this way next time! Thanks for sharing! Make a Food-“e”-Friend Monday. Hope you’re having a great weekend. 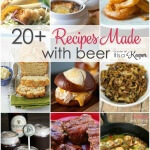 Thanks for linking up to Foodie Friday. 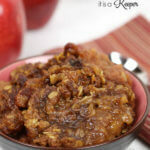 This looks amazing and gives me a good use for the slow cooker! Wow. I always sear my short ribs on all sides, THEN braise them forever. Definitely going to try this one. (I often serve mine with some creamy Parmesan polenta and a crispy salad!) Here from Stuff & Nonsense and am following. Wow, great foodie 🙂 happy FTF! Tnx for linking up this weekend! And, if it works in a crockpot, it’s great in a solar oven! Hello from Prairie Story Recipe Swap. Gonna browse around your site — everything looks delish. Come visit when you can!